Online portal IndieGameStand has a pretty sweet deal up right now, with Papo & Yo as its currently featured title. This indie hit from Minority Media launched earlier this year to high praise from media. You can pick up the PC game, redeemable on Steam, for as little as $1. Normally, the site offers a DRM-free option as well, but that won’t be available for this feature. 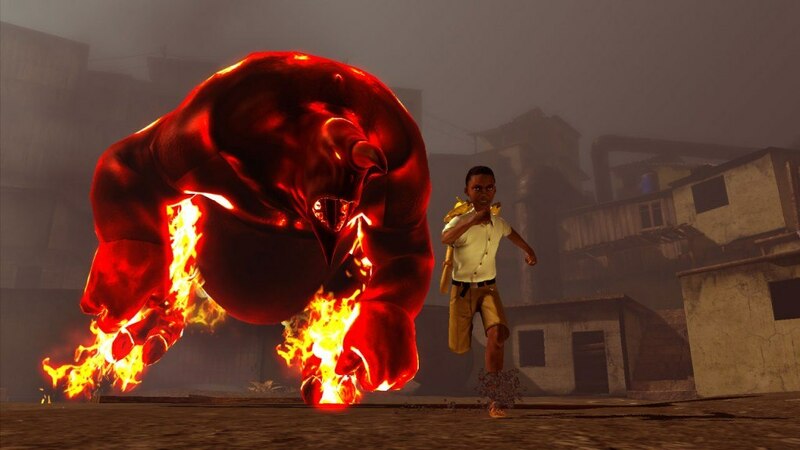 Part of what makes Papo & Yo amazing is its unique narrative, based on the developer’s own childhood. Through platform sections, players will uncover a story that tackles on alcoholism and domestic abuse. Its story is set in a shanty town, where two characters work on a destructive, codependent relationship with each other. A child called Quico has a best friend, Monster, which is several time its size and has a dark side. When it encounters poisonous frogs, it will erupt in violent rage attacks. To overcome obstacles, Quico will need to manipulate the environment, so that he can maneuver through sections and escape Monster when necessary. Inside the locations, some real world graffiti artists have hidden some of their art. At $1, Papo & Yo is the cheapest on IndieGameStand. Despite holding a large sale, Steam’s price doesn’t match this promotion by some distance and that at a generous discount of 75% on their site. Hell, you can’t even get the soundtrack that cheap, while IndieGameStand complementary offers it to anyone who beats the average, currently only set around $1.2. Promotions on IndieGameStand employ a pay-what-you-want model, so feel free to pay a bit more, considering it’s a lot cheaper than even the best deal online right now.